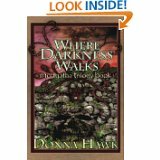 I'm very proud to announce the hosting of an interview with the author Donna Hawk and a spotlight of her book Where Darkness Walks. I have 1 FREE e-copy to giveaway and all you have to do is let me have a means of contact to send it to you if you are the lucky winner. 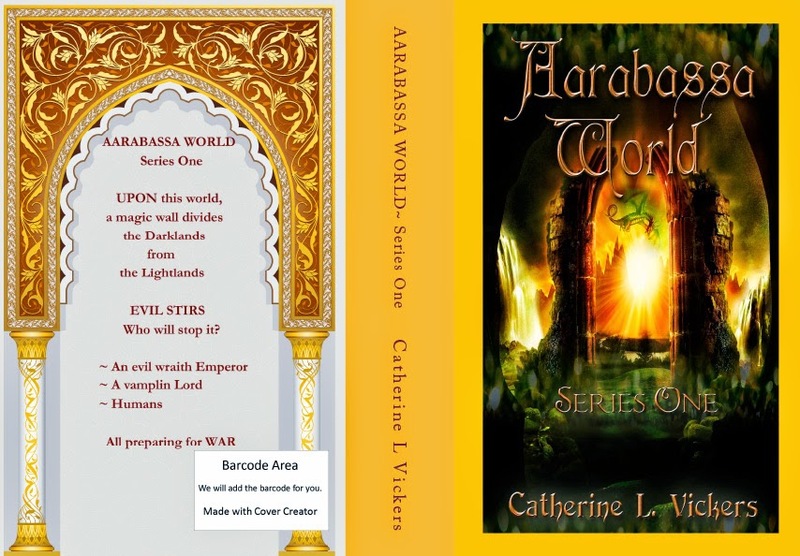 e-copy of my fantasy book Guardian Dragons, but we'll talk about that if you sign up and I can contact you. I usually do a rough outline, generally what I know I want to happen. The problem is, sometimes the characters get a mind of their own and start stuff. Then I have to go back and change my outline or just let it flow for a while to see what they have on their minds. Characters… sometimes you just can’t tell them what to do! Always. And then there are those times when my characters aren’t speaking to me at all. I do a lot of outlining and background at that time. Pretty soon, one of them shows up and starts talking again. Depends on their moods. Not either one actually. But I guess I’m more of a morning person than a night person. I don’t mind staying up late, just don’t ask my brain to do anything that requires much thinking. In the morning, I like to get up and start my day. I hate sleeping late. Morning is definitely my favorite time of day. I love to travel, but don’t get to do it as often as I’d like. Growing up, my dad took us to every state west of the Mississippi, including a two-month trek to Alaska. Now, the first place I’d choose to go would probably be Scotland. I want to chat with Nessie. My mom tells me my family is from there, but I’m pretty sure we don’t have family there any more. It just seems like it would be so pretty. AND they speak English, so that’s a plus for someone like me who doesn’t know any foreign languages. I’ve been to Sweden twice to see a penpal of mine. That was loads of fun. Unfortunately, she passed away, but I have tons of wonderful memories of her and my trips there. It’s called Where Darkness Walks. It is the first of the Mortgatha Trilogy. My main character, Clarie Perl, get caught up and pushed through a set of dark doors to this other, dark realm. It’s full of scary characters, not all of which can be seen, that are trying to keep her there. She knows there is a rift that will send her home, but the problem is that the rift moves randomly and she doesn’t know how it works. I have learned a lot, but I’m still an infant, so to speak. It’s so hard to break open any kind of notice but authors like Amanda Hocking give us indie authors a lot of hope. I know if you go through an agent, then a publisher, it could take more than a couple of years to get a book out—and that’s if they accept your manuscript. I know a lot of manuscripts don’t get the attention they deserve because agents and publishers are working so hard alongside the indie authors. Unfortunately, sometimes it’s who you know. Hmmmm, I don’t actually know a lot of people in the business. I also know that, like a lot of things that take so much time, writing has to be a labor of love because very few authors truly hit the big times. That said, because I do love writing, I will keep doing it as long as it gives me pleasure. The only thing I’d do differently is I’d do it sooner. I’ve sat on full-length manuscripts for years because I didn’t have the nerve to put myself out there. Finally, I got the nerve and I’m really pretty proud of myself. Oh, I can’t think of anyone in particular. I just remember thinking while I was in college: I think I could write something like this… Finally I decided to do it. That was years and years ago. It was only recently that I let anyone else actually read what I wrote. Keep at it. Don’t let a bad review or someone’s cousin talk you out of it. Keep writing because you’ll get better with every project. I know my second book was soooooooo much better than my first. Whatever you do, HAVE IT EDITED. There isn’t anything worse than glaring mistakes when you have such a good story. Write it, put it away for a couple of weeks, then read it again. Look for mistakes, just saying. Any other websites/places readers can find you on the web. Great interview...best wishes for you and your book, Donna! Many thanks Ash (K). I have passed on your comment to Donna Hawk. 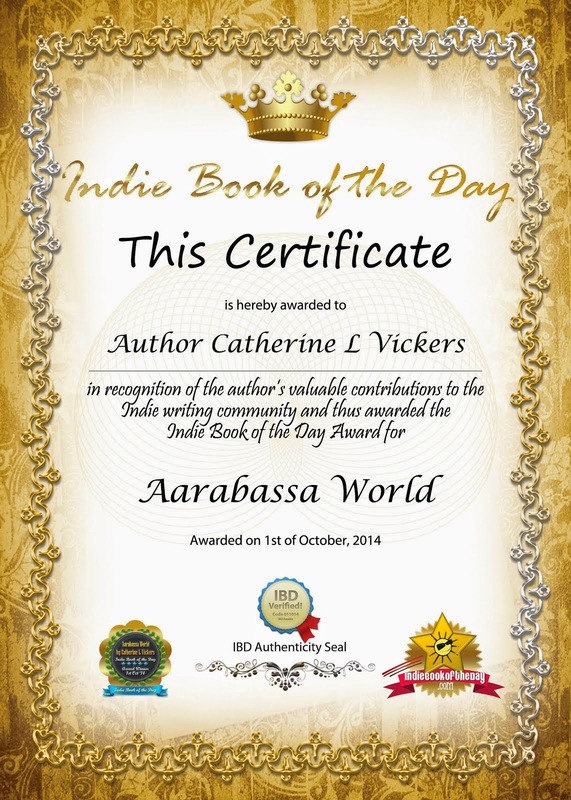 Hi Jan, I have passed on your details for the entry for the FREE e-book. Cheers.